Facer 3.1.2 released in Google Play! 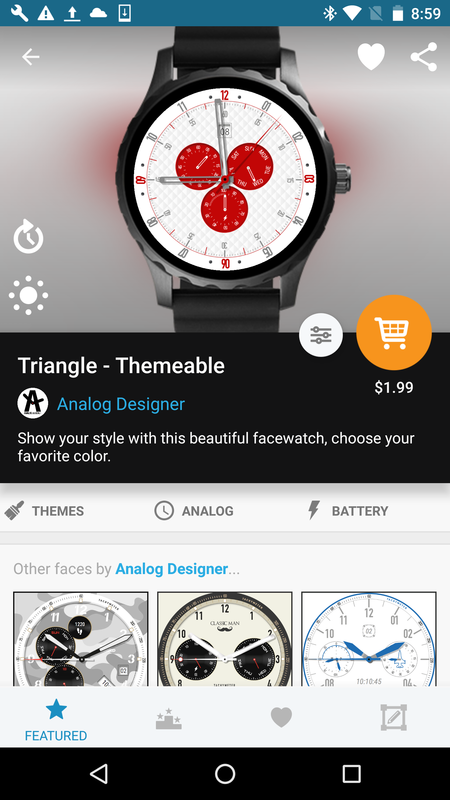 * Android Wear 2.0 complications now launch their associated app on touch, if configured by data source. Are there any changes from the 3.1.2 beta version? @Mellin few additional fixes related to the crashes on deleting a watch face, and other optimizations, but pretty minor. We have another version in the works, if you have any top requests/complaints! I compiled a big list of feedback on bugs, fixes and addons. Maybe I should wait with it for that next version you have in the works? Oh wow! That sounds great! Well, since you asked for it here is my list of 34 things. 1) Fix watchface's descriptions (too long, conceal important buttons). 2) Add sorting (like: by name, by last edit date, by publication date, by syncs, by popularity (ratio of syncs to time live)). 3) Add information if a watchface is featured and in which category. 4) Add ability to change to square watches view. 5) Add ability to change face's name. 6) Add ability to change face's description. 1) Fix description (it's not showing Enters/new lines). 2) Add working internal links for descriptions. 3) Add working external links for descriptions. 4) Add ability to change face's name (if creator). 5) Add ability to change face's description (if creator). 6) Add ability to see comments. 7) Add ability to create/send comments. 1) Fix profile bio (it's not showing Enters/new lines). 2) Add ability to create custom collections from one's watches (eg. the similar way the featured categories are displayed on https://www.facer.io/featured ). Can be with a limit of eg. : 3. 1) Add more detailed information on a range of outputs for Tags and Functions (eg. : that accelerometerRawX() goes from -10 to +10). 1) Add ability to choose categories (like analog and digital) for my watch (right now they are determined automatically by what tags I'm using, but most of my watches use digital tags in order to calculate analog elements - most of my analog watches have digital category and not the analog one). 2) Officially add remainder of the division - % (Some people report that it works, others that it don't and it is not in Math Expressions of Facer Creator Documentation). 3) Add compass reading tag. 5) Add moon phase reading tag (workaround: http://community.facer.io/t/sloved-how-to-tag-moon-phase-today-rotation/815 ). 6) Add inverse trigonometric functions to Expressions (arcsin(), arccos(), arctan(), arctan2()) (workaround: http://community.facer.io/t/inverse-trigonometric-functions/3326 ). 8) Allow normal users to create themeable faces. 9) Add watch categories (like analog and digital): "Gyro", "Accelerometer", "Phone battery". 10) Anable adding conditions inside of conditions (right now they don't work). 3) Add ability to "like" a comment on a watchface. 4) Add ability to answer comments on a watchface. 5) Add ability to delete/hide someone's comment on your watch if it concerns a problem that's been fixed. 6) Add ability to inform someone that commented on my watch about a problem in it, that it has been fixed. 1) Fix a problem with what is showing on smartwatches right after uploading a face (When I send a new watchface to my smartwatch via the internet website, sometimes it opens up the 3-tap menu and not the actually uploaded face view. The face is loaded onto the device so this part is ok, the problem is what opens up when I load a new one). 2) Add ability to delete default face, or hide it if I have less than 10 faces. Problem adding to "my watchbox" does not solved. If i choose a watchface to sincronyze with watch, it sincronizes regularly. If i click on White heart for add it , for only 1 second appears the "-" symbol, after the symbol "-" goes away ad it's impossibile to add it to my watchface. Infact if i go to my watchfaces, it does not appear under the voice "recently synced" but face is on my watch LG urbane. this occours specially for watchfaces downloaded from facerepo.com via qr code. I have investigate and this is what happen. 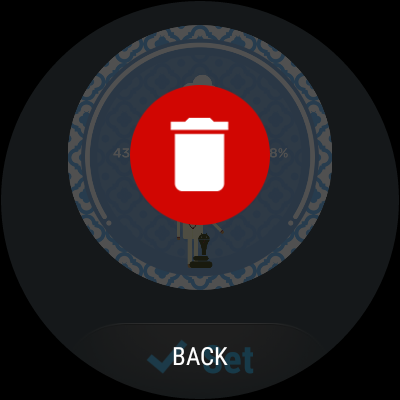 With new faces readen via qr code, is all ok and is possible to add them to my watchbox. The problem is with faces previously loaded and loosed from my watchbox. In fact if i try to read via qr code my previously watchface, it sincronize with my watch, but does not adds to my watchbox. If i change the face, i loose the face on my phone (it is not in my watchbox), but remains only on watch. @Mellin thanks for all the feedback! this is amazing! A number of the things you've reported are already on our roadmap and we'll make sure to consider the new ones! @masciandaro thanks for the report! Our team is going to look into this asap! On Facer creator a lock layer not just hide layer would be great as even if its hidden it will be selected if its above something not hidden which is frustrating. Hallo, no news on the footsteps on Gear S3 counting problem? I don't like the long press to delete watch face. Is there any way to turn that off? The reason is some times I cross my arms and arm pushes on the watch face. When I do this I get a vibration and then I look at my watch and it is trying to delete my watch face which I don't want to do. These are great Mellin. If you have time, adding use cases and flow helps us understand why you need a feature too. Having the context helps us a ton in understanding the need. These are great, keep them coming.